How do I create In-App Purchases for my Android app? Step 2: Click the Settings tab from the menu on the left. Step 3: Scroll down to the bottom of this page and you’ll see a link to activate your Merchant account. Note: When you have activated your Merchant account it will look like this. 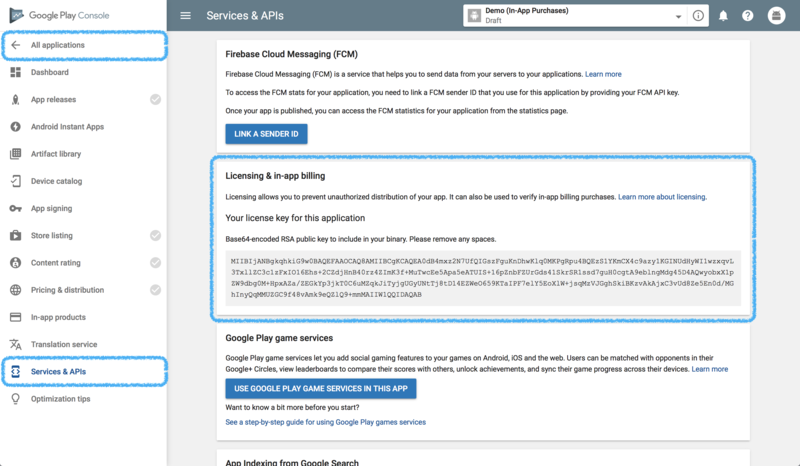 Step 1: From the menu on the left, select All Applications, then select Services & API to find your License/Billing Key. 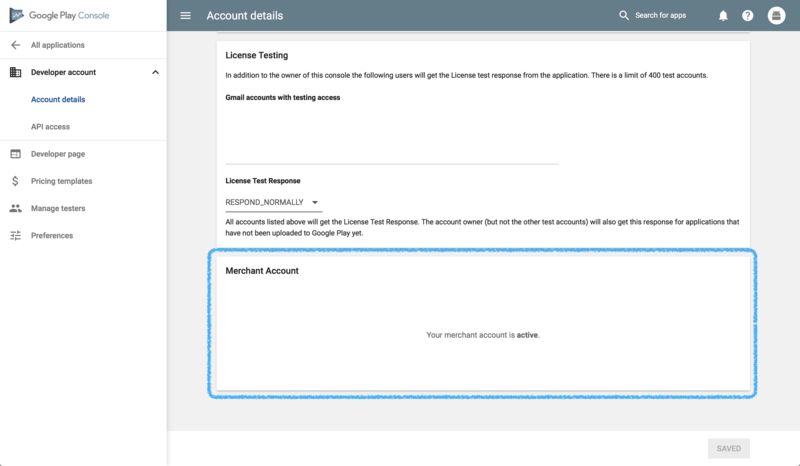 Step 2: Upload your License/Billing Key to the Commerce section of your app’s control panel. Note: Make sure you remove any spaces. VERY IMPORTANT: Now that you have your Merchant account activated and your License/Billing Key uploaded, you will need to contact us. 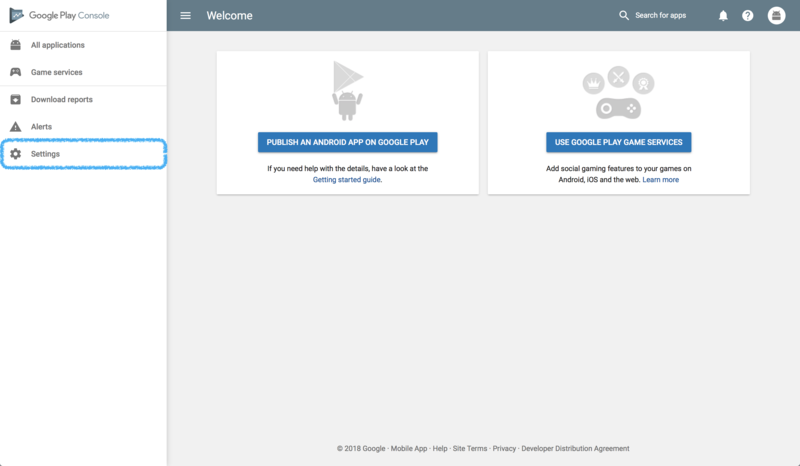 Before you can add the In-App Purchase products to your app in your Google Developer account, we must first upload a version of your app that has your License/Billing Key included.